Easy installation – less than half an hour is required for installation and configuration of devices. Control from anywhere in the world – management, configuration and notification in the mobile (iOS / Android) / web applications. Modern software – updated by air, regularly receiving new updates. Security – devices operate on batteries (batteries in sensors live up to 7 years), because of that the system is not afraid of power interruptions; Ajax searches for a free frequency in the presence of communication interference and recognizes jamming; The hub uses two channels to connect to the server – Ethernet and GPRS (GSM); data is encrypted with a floating key. Jeweller – by eliminating archaic wires, Ajax uses an energy-efficient radio protocol with a communication range of up to 2000 m in the absence of obstructions. 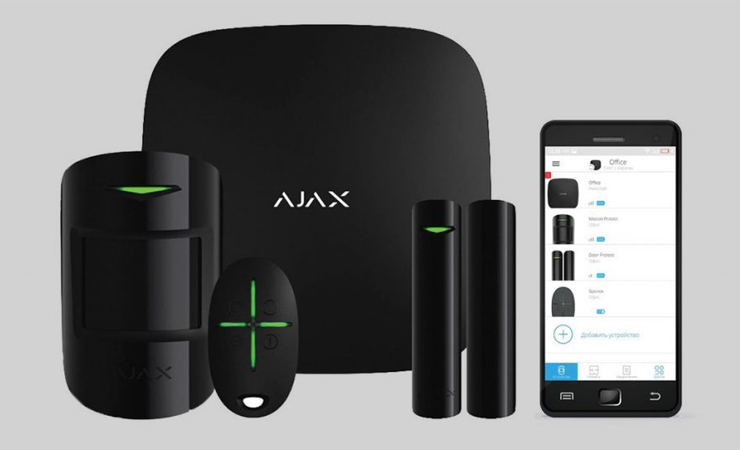 Ready to connect to a security company – Ajax can be connected to the remote control using the ContactID protocol. Thanks to the distinctive design and solutions in two colors (black / white), these devices will look great even in designer interiors. The Ajax ecosystem already includes devices not only to protect against intrusion into premises, but also from fire / flooding. 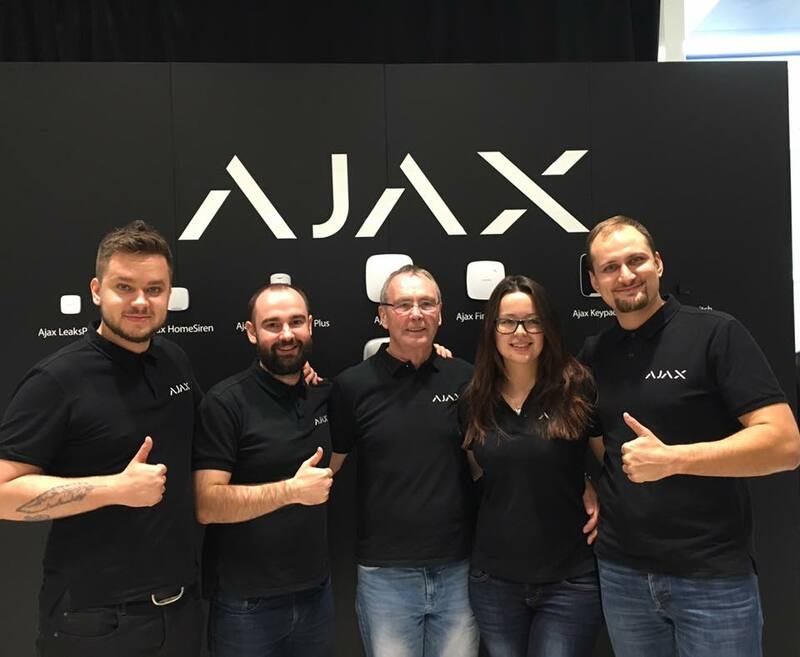 Ajax Systems was founded in 2011. Now Ajax Systems employs more than 180 people, 50 of which are employed in R & D. Products are developed and manufactured in Ukraine. Acquire Ajax in more than 45 countries in Europe, Asia and South America. 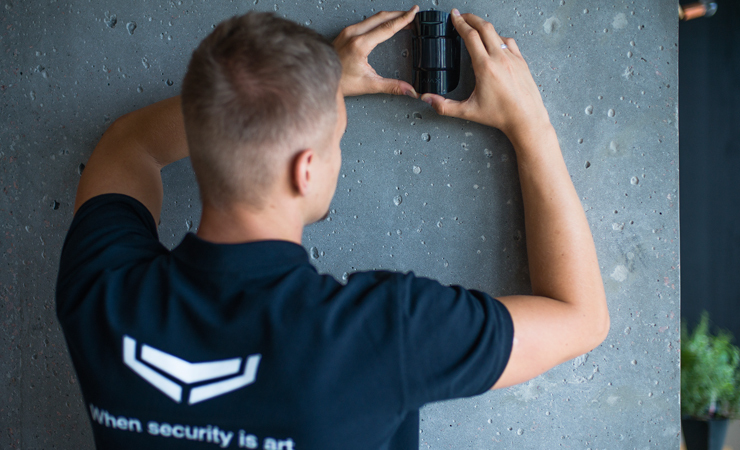 We set ourselves an ambitious task to develop a security system from zero, while making it a fashionable gadget and a serious professional solution. We are satisfied with the result, but we do not stop on this – we will further develop our ecosystem in the direction of house automation. We believe that the future is behind the Internet connected things, based on security. In November 2017, Ajax Systems received the International Security & Fire Excellence Awards, getting ahead of companies such as Avigilon, Axis, Tyco and Pyronix. Already 18 years in London under the auspices of the largest in the industry exhibitions IFSEC International and FIREX International are chosen the most innovative and reliable products of the markets for security and fire protection. Hundreds of the world’s leading companies pretend to take the lead in 25 topical categories, receiving this award is an unequivocal recognition as the best of the best. Ajax devices are assigned a Grade 2 reliability level. The reliability level in accordance with EN 50131-1 reflects how much the alarm system is resistant to external interference, and compliance with Grade 2 is a prerequisite for calling the police when an alarm is triggered. Grade 2 – the highest level for wireless alarms. We recommend a detailed geeky survey – notes: a review of the Ajax security system. Available products in stock – see the CATALOG.